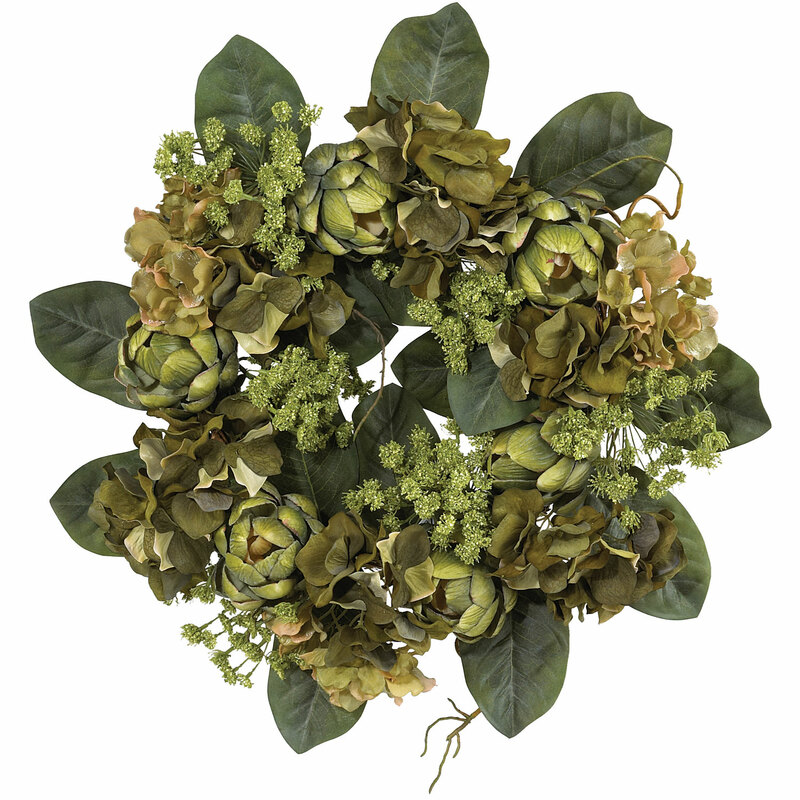 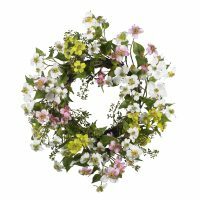 Featuring several hues of green lightly adorned with softer shaded blooms, this bold wreath brings a wealth of natural beauty and freshness to any decor. 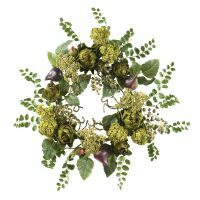 The artichoke is well known for its varied textures, from the supple leaves to the intricately shaped hearts, and this wreath demonstrates them perfectly. 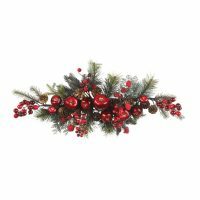 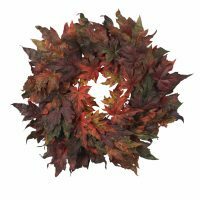 Made from the finest materials, this wreath not only looks beautiful, but will last a lifetime.